Britain should use the centenary of the Amritsar massacre to apologize for the sins of the Empire, an Indian politician said. Over 350 Indians were killed on April 13, 1919, when the British Indian Army opened fire on peaceful protesters & pilgrims. Congress MP and author Dr. Shashi Tharoor has called for the British prime minister or a member of the royal family to offer “profound apologies” to the people of India for all the “wrongs” committed during 200 years of British rule. Speaking at the Kolkata Literary Festival, the former diplomat accused the UK of embracing “historical amnesia” and romanticizing the Empire. He also criticized contemporary historians who consider the Empire “a good thing,” the Hindustan Times reports. The Amritsar massacre, also known as the Jallianwala Bagh massacre, took place in 1919, when the British Indian Army fired on a crowd of non-violent protestors and Sikh pilgrims. Colonel Reginald Dyer said he believed an insurrection was taking place and ordered the attack, which killed at least 379 people and wounded approximately 1,100. 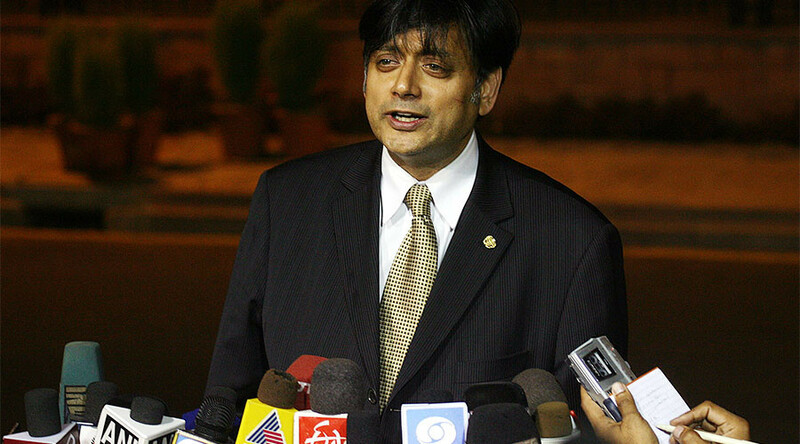 Speaking at a talk on his new book, An Era of Darkness: The British Empire in India, Congress MP Tharoor said the anniversary of the massacre would be a good time for Britain to apologize for the Raj – the rule of Britain in India. “Either the British prime minister or a member of the Royal family can come and convey their own profound apologies to the people of India, not just for that atrocity but for all wrongs done during the empire,” he said. “They have brushed it under the carpet. There is a certain historical amnesia. You are finding it in the way in which the British are relating to their own colonial past and on top of that, a lot of romanticizing of the empire – a lot of self-justification is taking place, including, British historians today, who praise the empire as a good thing.